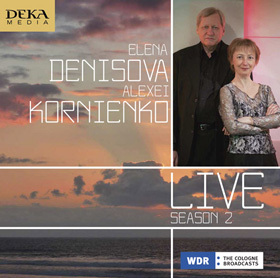 This second edition of the DEKA Live collection consists of different recordings which, from an artistic and aestetic point of view, seem valuable and worthy to us. Aswell Beethoven’s sonata as Liszt’s Grand Duo Concertant, which we took up in our repertoire specifically for the performance at the Beethovenfest Bonn 2011 and on their behalf, represent the crowning achievement of the mutual harmonic and creative work. This highly challenging piece gives nearly boundless opportunities to unify both virtuosity and passion in terms of an intense dialogue. 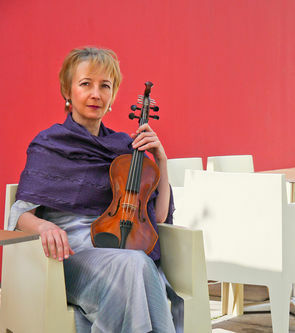 Therefore it seemed only logical to us to present this production with solo pieces for each instrument by Gabriele Proy – one of these pieces is written for the Campanula violin. This very well formed mixture between the nostalgic sensual world of sound and mystical charm of the Campanula violin, which was invented and built by Helmut -Bleffert, opens up new possibilities for musical interpretation. To me the art of sound is the most important point in musical creativity and the opportunities for flexible spectrums of melodies seem almost endless. P.I. Tchaikovsky wrote his 12 Piano Pieces “The Seasons”, which he enclosed as “Les Saisons” at a St.Petersburger monthly magazine, starting in December 1875. That was after his monumental Piano Concerto No. 1, during his work on “Swan Lake” and its “fabric collection” for the opera “Eugene Onegin”. It seems as if he had needed a momentary valve for “Bagatelle” during a high artistic and emotional turmoil. Tchaikovsky created a bewitching synthesis of the arts of 12 “monthly pictures” full of russian and occidental romantic poetry, probably under the “sponsorship” of Robert Schumann. Measured by the listening experience and the broad freedom of interpretation it would be to short to say that one can see Tchaikovsky’s “Seasons” op. 37 b only as an “educational literature” or “house music”, especially since some frames are also quite challenging for technical and artistic mature pianists. Russia itself was delighted by Tchaikovsky’s promptings, which were supported by poetic verses of Russian poets (Pushkin, Tolstoy and others). The music was also still understood as “ars poetica” in the late romanticism, which found its brief hubris in the era of the “program music”, where it probably ended as well. Tchaikovsky knew his audience, who understood the music as its “comfort and support”. He also took advantage of simple schemes, such as the three-part song form, or the “Rondo”, in order to make his musical ideas (“... how charming the Russian landscape”) more accessible. This is already perceptible in the “January” (the fireplace) with its mix of emotions from “grief to joy”. In “February” the “cold north” goes on, “dancer learns” and plays his game with “defiant gestures”. Carefully, with tentative trills follows the lark (“Alouette”) the premonitions of spring in “March,” while in “April” you feel the snowdrops “herald the spring”. The “May” is dedicated to the sweet cantilenas of the nightingale – in wonderful pretty shades. A boatman´s evening song (“June”) changes from being “tired of wandering” with sad melodies to a powerful praise of god in brilliant arpeggios. In the “Reapers hymn” of the month “July” a simple rustic melody will be gradually faded by the foehn. Then there is excitement during the harvest in “August” – because the summer storm threat, but nonetheless there remains room for thoughts about the “rescued grain”. In “La Chasse”, the “hunt” of “September”, the sound of horns echoes through the woods, the “cavalcade” scatteres and comes together again. The “Autumn Song” of the “October” reflects the state of mind in an transcendental tune in a “night like that”, and during a Troika ride in “November” the birds’ migration “across the sea” is observable, followed by the autumn winds. Eventually the warm house entices during “December,” to forget “pain and suffering” on Christmas eve and to be rise in “blissful joy”. There are thus 12 highly individual tesserae that will interpret the image of one year and thus provide great demands to the artist. 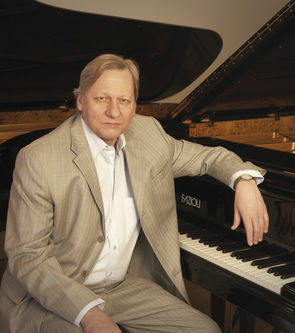 Miniatures should be “well designed and interesting” as well – are the thoughts of the the Moscow-born pianist Alexei Kornienko, who because of his education steps in Kharkov, Kiev and Moscow, was a laureate of the first Rachmaninoff Competition in Moscow in 1983. He has been living with his wife, the violinist Elena Denisova, in Austria for many years now, so he knows “his” audience in the east and the west. During the production of the “Seasons” in the ORF Studios Carinthia it became clear what important role the details of the interpretation bear – as well as the “whole” of course and how such different moods as “Les Saisons” should be painted. 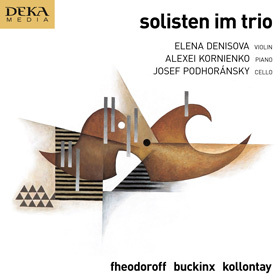 The result proves unquestionably that Kornienko succeeds in tying his listeners to him and with him to the whole work from the first moment on. And that is the most important job of the artist! The intentions of the artist were supported by the Fazioli grand piano of the piano house Heimo Streif/Graz, which especially unfolds its full effect in the brilliant passages, but also in the often demanded pianos/pianissimos. In the polyphony (model Schumann) it allowed great nuances as well – an undoubtful satisfying result! With many thanks for the very pleasant and kind cooperation with the house Gustav Ignaz Stingl, the piano house Heim Streif and the recording producer and text editor Dr. Günther Antesberger. The twist to contemporary composers seems to us essential, since the boundaries of musical interpretation must be disclosed and the belief that every epoch is internalized their contemporaries, is unified by the actual process of living development of a work. The "Six Pieces for Solo Violin and String Orchestra" by Helmut Neumann created around 1980 after a trip to Bruchsal, Germany and give the sentiments of architectural monuments of various known the composer again. Originally Bläserstimmen were provided. For a performance in the collegiate church of Millstatt the composer worked this order, replaced the wind instruments by a solo string quartet, adding a cadenza. He dedicated this work to his father, who played the violin quite well. The "counterpoints" Opus 103 was created by the composer originally in Iceland and Vienna as organ works for the Icelandic Organists Helgi Bragason and his wife. 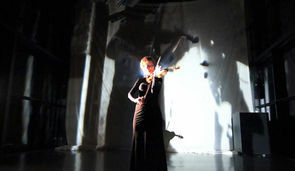 In summer 2002, he arranged this piece for solo violin and string orchestra in Iceland. He tried to make the contrapuntal possibilities of sound composition theory series in the known contrapuntal forms. The work is Gyöa Gisladottir and Helgi Bragason dedicated. The work is greatly inspired by old buildings in Klosterneuburg. It uses a rather polyphonic voice leading, but - be made willfully spontaneous decisions when composing thwarted repeatedly - as the respective structural control systems in the other tableaux. In this tableau leads the i.a. for piano (or violin-piano) cadenza towards the end. Both versions are in the music publishing Alexander Mayer, acquire Wien (www.mvam.at). 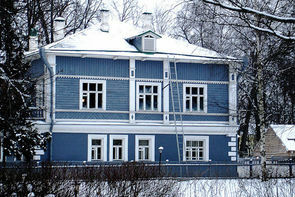 The internationally recognized and elitist Moscow Tchaikovsky Conservatory is the cradle of many talents. This university is also joining the soloists this recording, as already throughout their studies making music together was common practice. Careful examination of the musical text and the invariable devotion to contemporary music also determines clearly the choice of repertoire on this CD. The client of this composition, Mrs. Elena Denisova, is born in Russia. When she in 1992 their concerns approached me to write a trio for their (Russian) Ensemble, I remembered my concert tour in 1972 by the former Soviet Union with the Carinthian Madrigal Choir Klagefurt, where we regionally for encores after the concerts in every city typical folk songs examined shortly rehearsed and darboten. In Kiev, there was the pretty spring song "Vijdi, vijdi Ivanku ...", which has also been used in a PITschikowsky his composition. This song not only identifies the first half of the twelve-tone row that the "Reminiscences" is based, but also the vertical and horizontal structure of the whole piece until it is quoted verbatim in the late three-part canon between violin, cello and piano. 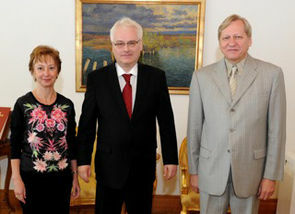 The "Ten Words of Mussorgsky death Viktor Hartmann's" were composed in 1993, commissioned by the "Jeunesse Musicale" for Elena Denisova and Alexei Kornienko. Both in the name of its parts, as well as in its inner content, the work is coordinated with the "Pictures at an Exhibition" by Modest Mussorgsky. The masterpiece Mussorgsky is interpreted as a tribute to the artist Viktor Hartmann. Once the images Kollontays illustrated directly the images Hartmanns and Mussorgsky ("The marketplace of Limoges"), the other time is an unexpected inversion performed ("Ballet of the Chicks in their eggshells"), then the images very enigmatic ("again are The Great Gate of Kiev "). It is important to know that in the understanding of the soul in the afterlife Orthodox Christians a way for many stations travels, where she has to give an account by the lived life. Who can know, perhaps are the forces acting during this hike, while the Court of God, in the cycle Mussorgsky before us and are reflected in the Trio Mikhail Kollontays. Buckinx music is often called neo romantic, but this designation actually makes only sense with regard to this trio. The various elements in the piece establish a continuous discourse. But even in this trio of romantic sonorous sound and the pathetic gesture be tempered by moments of sobriety and simplicity, so that the discourse combined self-contained musical worlds in an uncomplicated way. 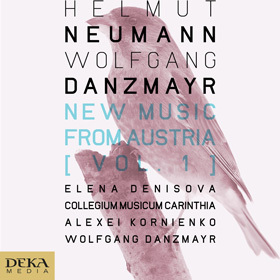 The Collegium Musicum Carinthia was founded in early 1992 by Elena Denisova, Inge Jacobsen and Alexei Kornienko. It has set itself the goal of a wide-ranging repertoire, ie music from baroque to contemporary, offering in fresh, dynamic interpretation, well-kept prank culture and boundless Cantilena, the priorities in the expressiveness of the homogeneous sound and sensitive intonation emphasis lie. Already the first performances were enthusiastically received by critics and audiences. 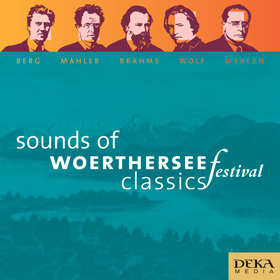 The CMC has during its existence more, great CD recordings, both with numerous classical and contemporary composers, as well as Wolfgang Danzmayr in this recording, released. "The violin-piano concert of the 14-year-old Felix Mendelssohn-Bartholdy I learned late, namely know by Elena and Alexei. My joy in this work was all the greater because it turned out that the two and her Collegium Musicum Carinthia no ifs and buts had decided without any cuts perform this amazing extensive as masterful concert with me and take! " Felix Mendelssohn-Bartholdy (1809-1847) was known as far back as not only as a composer but also as a conductor and pianist. 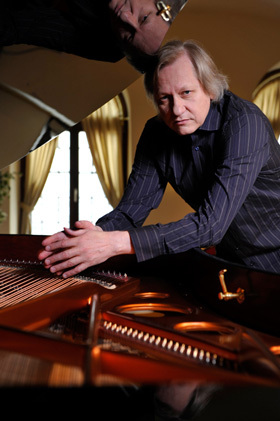 He was a child prodigy and gave his first piano recital at the age of 10 years. The Double Concerto in D minor (1823) for violin, piano and strings of just 14-year-old Mendelssohn is a magnificent example of the colorful and complex romantic fantasy in the design process. In Allegro he leads by a first dynamic development of the main theme, a prepossessing naive and charming pure new musical episode one. The Andante recitative derives its motivic material from the exposure, but also adds new material for the piano. The last sentence is in the form of a sonata form - after a brief reprise of this youthful masterpiece ends dramatically and brilliant - a true, musical declaration of love. Elena Denisova: Paganihilismo di Dieter Kaufmann. "I'm sitting on a rocking horse in our apartment. Papa plays the violin, the whole day, I play with: In a timber Fiddle Imitation with splits strings, so silent. And I try to be in sync with gestures." This note about my early childhood in Vienna (it must have been probably in 1942 or 43) is perhaps the key to the works for violin, which can be heard on DEKA media in so exemplary form. My father and my sister, as well as uncles and cousins were, full time Geiger. From birth until the years of study into practice next door I heard always fiddle. That probably explains why I have made it with 30 years on the first composition for solo violin. 25 years later created "Paganihilismo" again cut out a piece of virtuoso music, fragments of the Sauret-cadenza for the first violin concerto of Paganini, from the historical, musical and social environment and set in today's time and frequency conditions. Instead of during the cadenza reverent admiration or gleefully listening orchestra, enters into "Paganihilismo" of up to 512-fold cloned violinist himself, who in eightfold division of a whole tone or an octave or in eightfold multiplication, in the fight against windmills 20th Century drives in the artistic mania, an "electrified Artist" in the center selfspun networks. 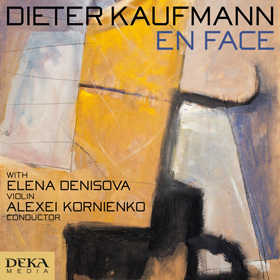 Quite different "Elena en face", as if finally reconciliation took place with the family "Violinismus", a rhapsodic work that - preserves mental attitude between physical change bathrooms - with a light hand. Modal, tonal and atonal structures transform themselves into capricious emotions of a soloist who - both legs on earth - with its rainbow scrapes the clouds. For live recordings, there are both radiant revelations, as well as hidden reefs. From the first musical breath every person pulsates in audience on its own plane and during the internalization of this dialogue with the audience it comes to this spontaneous enlightenment which one wants to perpetuate longingly. Now one of the challenges of a presentation is not to allow certain deviations from the artistic concept collect the whole picture of the internal logic of the course of the presentation. So is the beginning of the concert - the "Meditation" by Tchaikovsky - kept very reverently and intimately; the cadenza in "Valse-Scherzo" spontaneously developed into a sincere monologue and not a confirmation of the virtuoso skills; the "Canzonetta" Josipovic of passing its truly romantic revival far beyond their actual definition beyond. 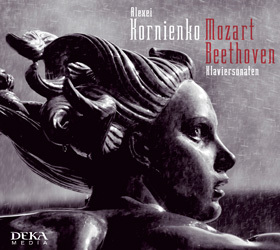 Such multi-faceted unfolding this recording gives the feeling of truly experiencing every breath of the concert hall. In the history of music great composers have repeatedly dealt with the violin as a solo instrument. These four strings served many masters as an inspiration, be it Bach or Kreisler, Bartók or Telemann, Ysaÿe or Paganini. Johann Sebastian Bach is an umbrella term which is used throughout the history of music as the foundation. On the rocky road to mastering the violin art is neither technically nor spiritually Bach not indispensable. The twist to contemporary composers nevertheless seems essential, since the limits of playing the violin must be disclosed and the belief that every epoch is internalized their contemporaries, is unified by the actual process of living development of a work. Particularly noticeable one experiences this unfolding throughout the violin literature of Mikhail Kollontai. His boundless creativity urges him to mystical spheres which precisely as such go beyond the barriers of Interpretation assets and therefore affects the synthesis between these two composers homogeneous. Not for nothing that sizes of music history have repeatedly set with the violin as a solo instrument apart. These four strings served many masters as an inspiration, be it Bach or Kreisler, Telemann or Paganini, Ysaye or Bartok. The Petersburg violin virtuoso, conductor and composer Ivan Jewstawjewitsch Khandoschkin comes from a humble background - his father was a tailor - and began his career as a musician in the orchestra of private noblemen Lev Alexandrovich Naryshkin, was its promotion allows him training in Italy. In 1765 he founded the Violin School at the Petersburg Academy of Arts. Khandoschkins work stands at the transition from the 18th to the 19th century, at the transition from the classical tradition of Corelli and Tartini for national Russian school of sensibility and the early Romantic period. 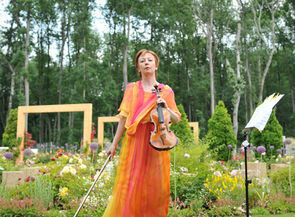 It is characterized by classical pathos, dynamism, emotionality and national folksong-like elements. From his virtuoso testifies that he uses, special violin mood that differed from the usual fifths to semitones up or down. The most famous of his sonatas in G minor starts in the first sentence classically pathetic, enhances this line in Allegro dynamic further and brings in the variations of the final elements that already indicate the later style of Paganini. So Khandoschkin is one of the most important personalities of the musical and cultural life in Russia of his time, and it is not surprising that his work was highly appreciated not only at court and in aristocratic circles, but was praised by poets, including Sergei Glinka with a poem which bears the title: "triumph of talent and emotion." What has changed in the time since Niccolò Paganini so brilliantly enriched the possibilities of violin performance in the genre oft he violin capriccio? One should not, of course, underestimate the historical and instrumentaal contribution, as well as the interest in the miniature of such great virtuosos as Eugene Ysaye or Fritz Kreisler. Still, the violin repertoire of the twentieth century has been dominated by large forms like the concerto or the sonata. The filigreed or compact small forms ( wether miniatures, capriccios or études ) have, by contrast, tended to recede into the background, even though their temporal compression lent great intensity to both the melos and the virtuoisity of music that otherwise tended to decay freely. This inexplicable historical neglect led tot he idea of commissioning new capriccios that were custom-made for the characteristics of my personal style of playing the violin. 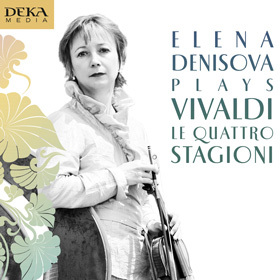 "... Elena Denisova is obsessed with her music. And it's what most important seems a virtuoso of our time, not backward-looking package virtuoso who presents her circus skills at the service of personal success, but also a knowledgeable and wake Sachwalterin the music of our time, nor the most complex and difficult display pieces with the same naturalness and inner logic knows ... "
Nicht wagen wir zu schauen das Gesicht des Geliebten. Schüchtern die ersten körperliche Erfahrungen. "Awakening of Love" is a Poème comparable work: a gentle longing for harmony and delicate changes of meditation, which, its inner logic follows, unfold a magical form. There is a prudence - there is no place for the hustle and chaos - here is only the love of the whole, as understanding of the source of life. 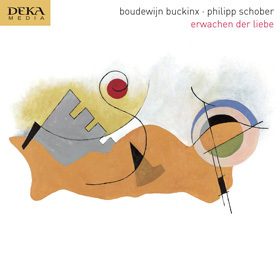 Buckinx artistic thinking is reflected in his compositional handwriting: the marks floating above the music lines, come together in an unexpected flow and tear into the air and into the infinite distance of the horizon. When I play Mozart, then comes over me every time a sense, when phrases and motifs could not develop differently than would be where Mozart leads us, part of an ancient creation plan at the end of a secured paradise is. Mozart's sonatas, as well as the four recorded here, are in their way, "perfectly". We find no error, so no score that would not be understood or even to feel. Mozart wrote clear, transparent and comes with its mostly two-part piano set to optimize its performance instrument. I can understand people who feel this balance to be divine - hallmarks of exceptional genius is all. Beethoven, however, is not easily. As brutal as he was pushed from his childhood into adult life - in my opinion, much harder than Mozart. For me, this has an almost frightening parallels to Beethoven's real life: the fight against stupidity and ignorance, the shackles of his deafness and, ultimately, severe liver disease. Not for nothing has the Eroica this Promethean fire in the final. Back to Style: Beethoven, by the fantastic improvisations made his name at the beginning of his career in Vienna, RECOURSE his life the fantasy connected. Even though he of all stylistic devices of the time uses and uses classic shapes, so he makes them at the same moment by its rings to the perfect balance between moderation and overindulgence. For me, Beethoven's music oscillates between these two extremes, tamed by an enormous awareness of form - today one would say "perfect timing" to -, a music that civil-defiant, this may be funny and pointedly, yet soulful and melancholic. Mozart conjures a utopia of today hardly to be realized ideal life, keeps us Beethoven, later maybe only Mahler, a mirror of our existence with all its ups and downs before. He is in his mind already a true romantics. I hope to be able to demonstrate the vast difference between Mozart and Beethoven with these two CDs. Both are today only at a point similar: in their genius. 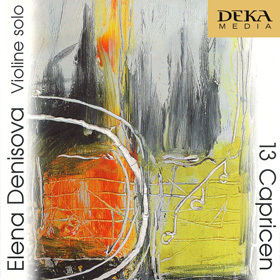 Since its printing in 1725 the first four violin concertos from Opus VIII occupy a special position. They embodied not only the perfect implementation of all rules of composition of their time, but they sat by their imaginative invention and depiction of nature new standards. Imitators that borrowed parts or newly edited, were found as far back as Vivaldi, plus a circulating various Aufführungs versions - depending on the occasion and pageantry of the respective court. The version in use today with chamber orchestra was just one of several ways; the blower to extended version of the Dresden Court Orchestra, the most unusual. The rehearsed by us soloist occupied in accompanying ensemble version corresponds to the usual pattern of many Venetian noble chapels of the late Baroque and early Classical. Especially for the entertainment of rich lords or as Tafelmusik were found with small, chamber music ensembles suffice. Our intention now was not to another "Original Sound Version" to play, but to come back to that emotional direction of the late romantic style close to that shapes the tone and allows it to flourish. This corresponds to, inter alia, the ideas of Gustav Mahler, who famously worked sounded oriented works by Beethoven and Schumann. This ideal has been stylishly updated by our ensemble for many years and developed. It meant for me a great honor to be able to use such a great sounding and therefore valuable instruments held by the Austrian National Bank and private collections for these recordings. 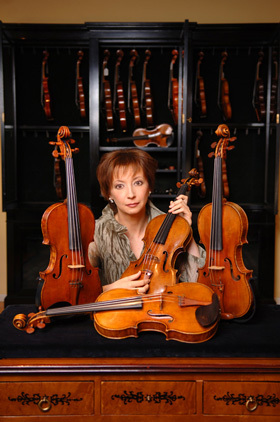 The total value of the sounding here four violins, which were all made in Cremona, the world capital of baroque violin making, is at least 7.2 million euros. Each season is deliberately combined with the sound character of each one of these violins. I am convinced that you can experience the unmistakable timbre spectrum and thus the emotion of each of these reference Fiddle close up very quickly.